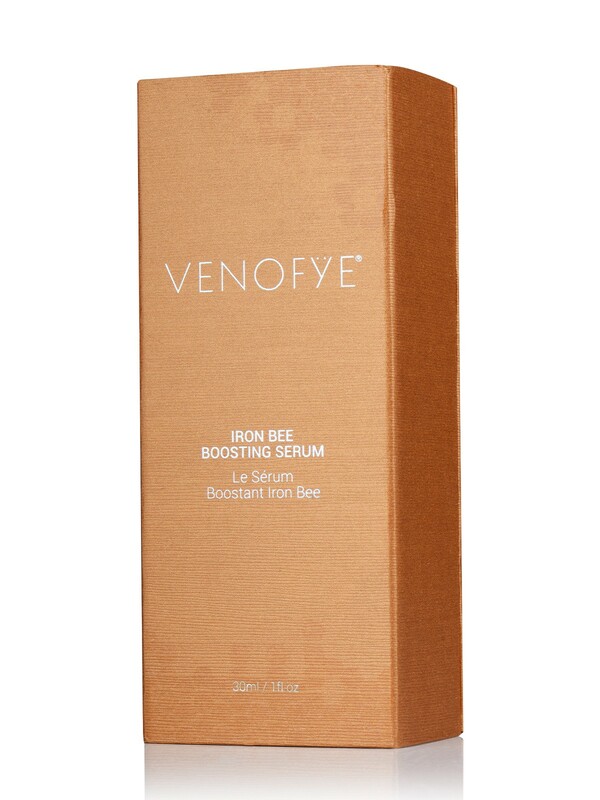 Venofye Iron Bee Boosting Serum helps to dynamize the energizing and anti-aging effects of the Iron Bee Magnetic Mask. 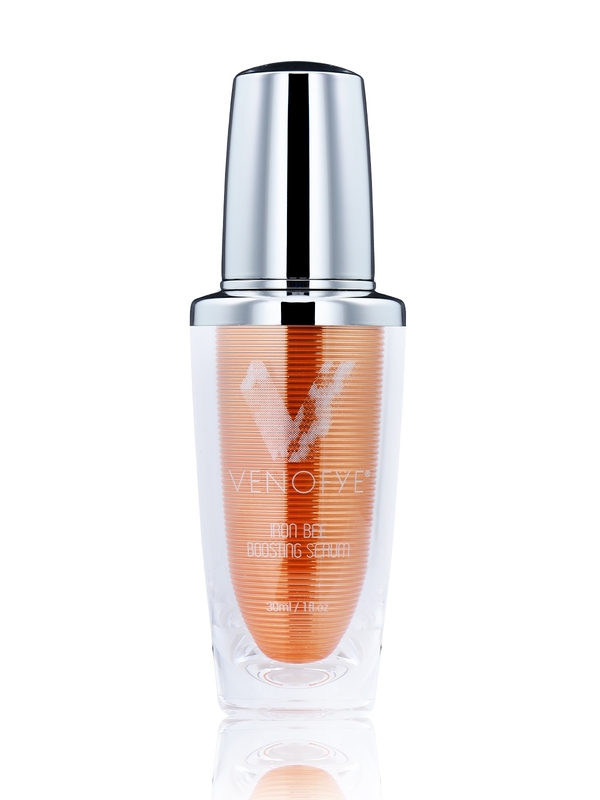 Blending an invigorating combination of Bee Venom, with Collagen, Vitamin C and Hyaluronic Acid, this powerful serum will help create the capstone of a transformative treatment, leaving your skin looking smoother, softer and with an age-defying glow. Use weekly after applying Iron Bee Magnetic Mask. 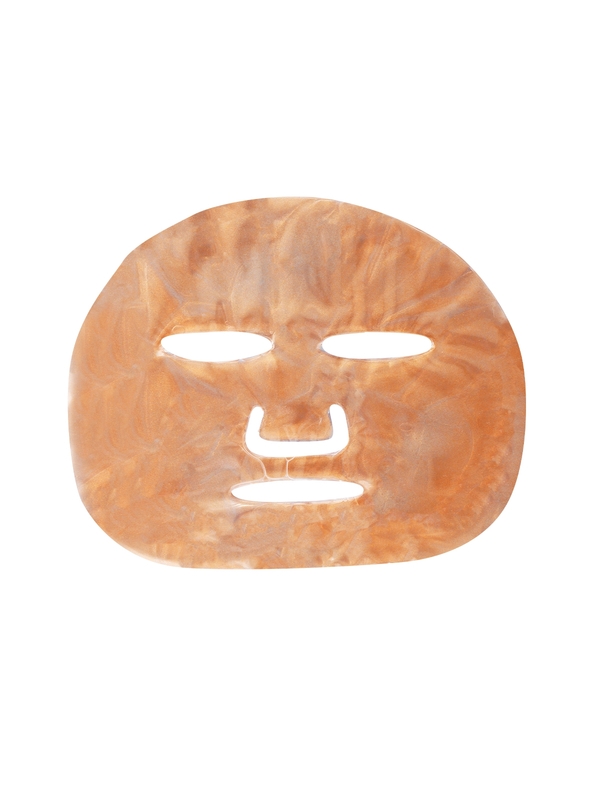 Release 1-2 pumps onto your finger tips, gently massaging over face and neck until absorbed. 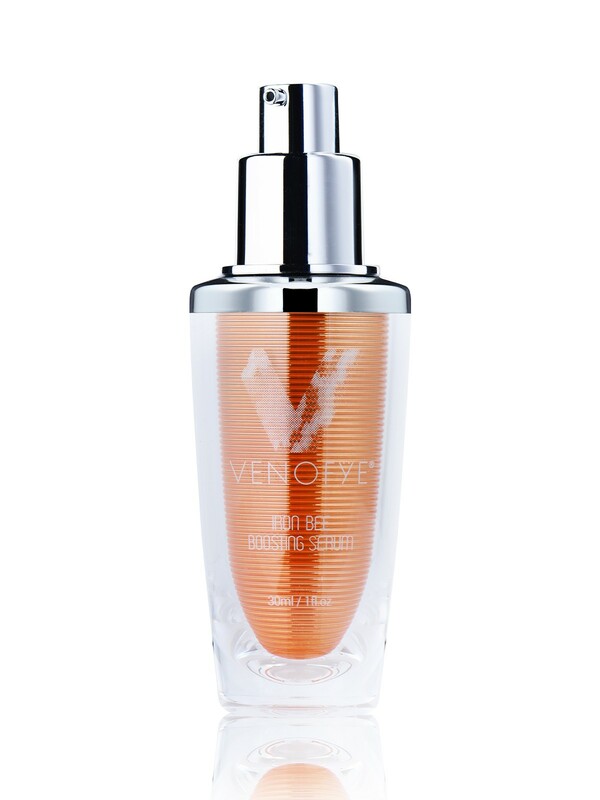 For best results, follow with Iron Bee Transforming Cream. 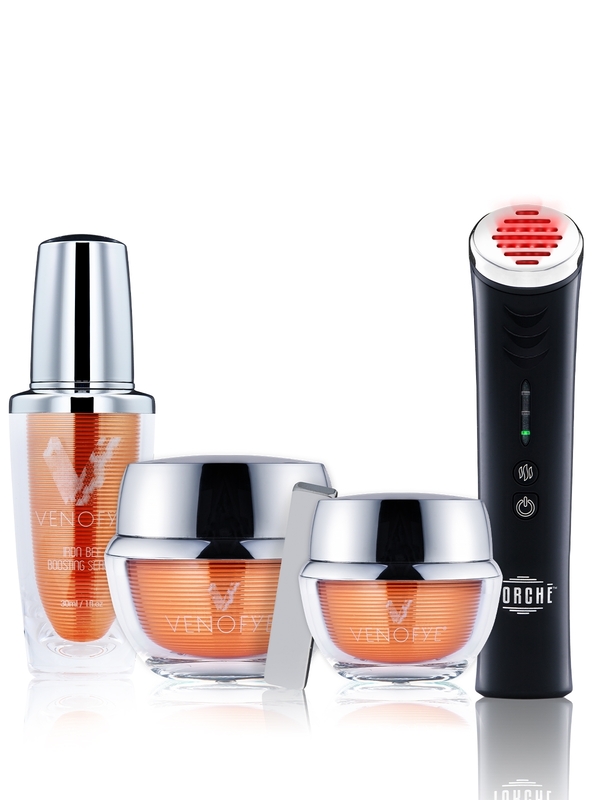 Aqua, Glycerin, Propylene Glycol, Carbomer, Triethanolamine, Phenoxyethanol, Sodium Polystyrene Sulfonate, Peg-40 Hydrogenated Castor Oil, Collagen, Sodium Hyaluronate, 3-O-Ethyl Ascorbic Acid, Ethylhexylglycerin, Bee Venom, Tetrasodium Glutamate Diacetate, Palmitoyl Tripeptide, Palmitoyl Hexapeptide.